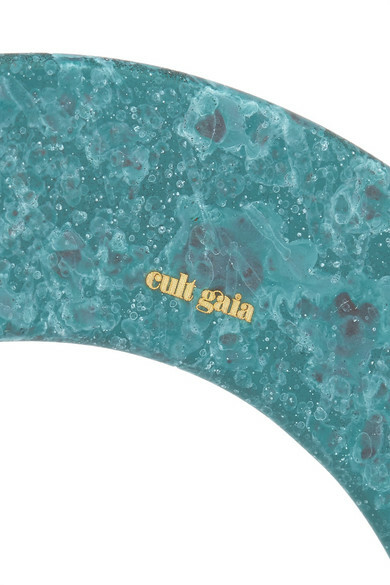 Cult Gaia believes that "good design is not over designed," and this 'Tala' bangle backs up the statement. 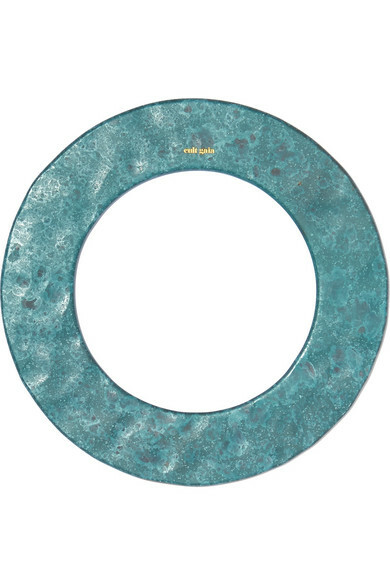 It's sculpted from turquoise metal which is surprisingly lightweight, and has a tactile hammered finish. Wear yours stacked or solo.